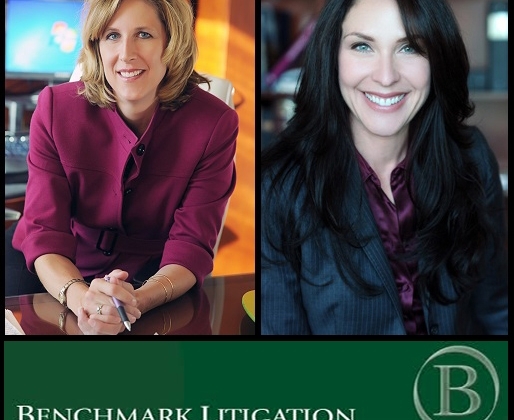 Jennifer Anderson and Samantha Adams have been named to Benchmark Litigation’s prestigious list of the Top 250 Women in Litigation 2015 for the fourth consecutive year. Benchmark’s Top 250 Women in Litigation, is a guide to North America’s leading women litigators, and honors female attorneys from all 50 states. Only three women in New Mexico were recognized with this honor. Jennifer Anderson’s practice is focused on products liability, employment, class actions, mass torts, insurance, healthcare and commercial litigation. She serves on the firm’s Executive Committee and was appointed in 2013 by Governor Susana Martinez to serve on the New Mexico Medical Board. She previously served as Chair of Modrall Sperling’s Litigation Department. Sam Adams’ practice is focused on commercial litigation for business, government and non-profit organizations. She serves on the Board of the Albuquerque Bar Association and as an adjunct faculty member of the University of New Mexico School of Law Alumni Board of Directors.